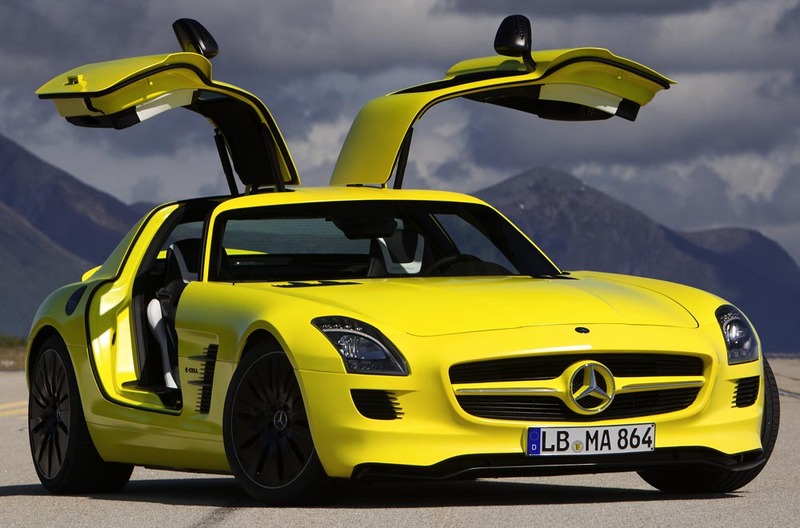 Mercedes-Benz just announced at the Detroit Auto Show that it will be putting the electric version of its SLS AMG supercar, the E-Cell, into production in 2013. The E-Cell sports four electric motors (one per wheel) that together produce 526 hp and 629 lb-ft of torque. 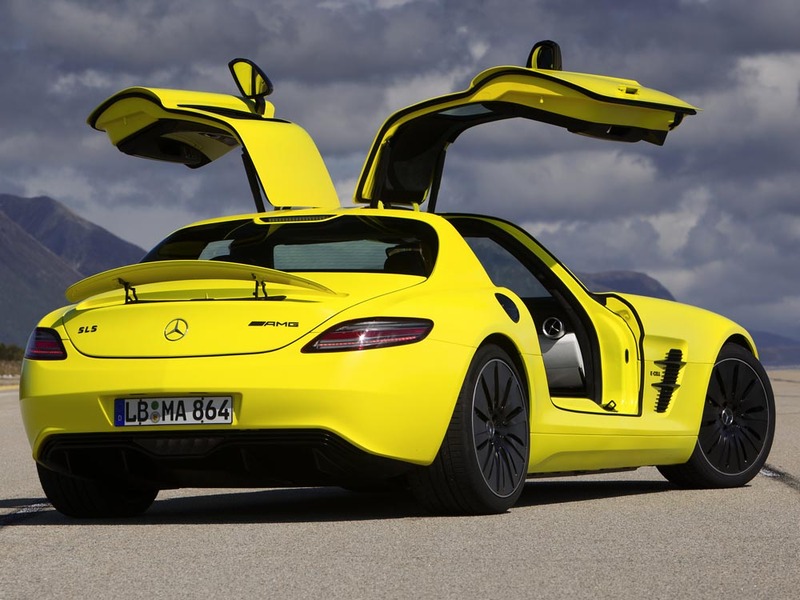 The standard SLS has a 6.2L V8 putting out 563 hp and 479 lb-ft, so the electric version is down 37 hp but up 150 lb-ft versus its gas counterpart. 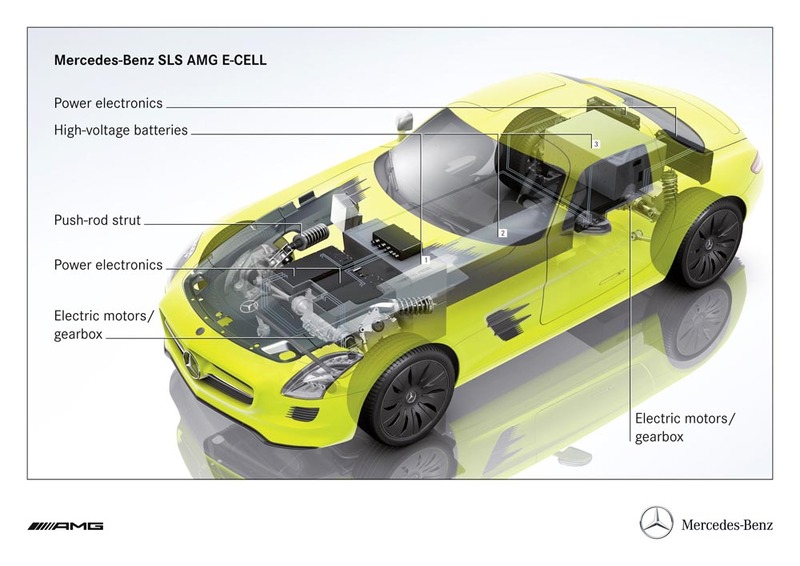 Unfortunately, the E-Cell weighs a whopping 880 lb more (400 lb of which is in the 48 kWh lithium ion battery) than the regular SLS, which was already not terribly light at 3,571 lb. Auto Express reports that the extra heft does have a decidedly negative effect on the car’s handling. Mercedes says, however, that the weight should be reduced by the time the car hits production, and regardless, the motors’ massive, instant torque is an undeniable attraction. The E-Cell even manages a respectable 125 mile range. The normal SLS AMG attracts so much attention that should Mercedes choose to produce the E-Cell in the color it’s being displayed in (“AMG Lumilectric Mango”), you’ll always be the center of attention for miles around in one of these. And hey, maybe the extra weight won’t matter, because with all the wide-eyed bystanders surrounding the car, you won’t be moving terribly fast anyway. Auto Express driving impressions video after the break.